Do you like to work with colors, lines, textures? Which photographer does not?! 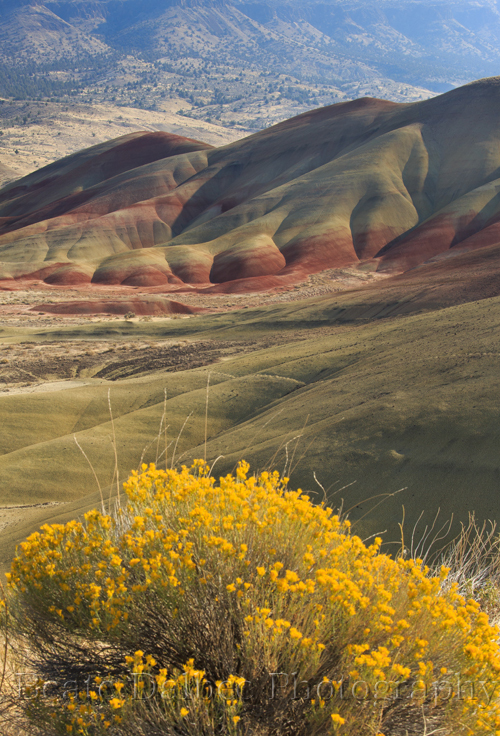 The Painted Hills (also know as the John Day Fossil Beds National Monument) in Oregon are a great location for all of the above and they had been on my “places to go” list for quite some time. If you go, plan on spending some time there so you get to photograph the hills under different conditions. You can find interesting details like animal tracks leading across the hills. Or how about these dry mudballs? I found them only in one spot. I assume they form during the rain when dry pieces of sagebrush pick up mud and get swept down a small stream (which was now dry). They were about the size of a bowling ball. When I was there the Sagebrush was in full bloom and provided a beautiful foreground. And don’t stop shooting after the sun goes down! 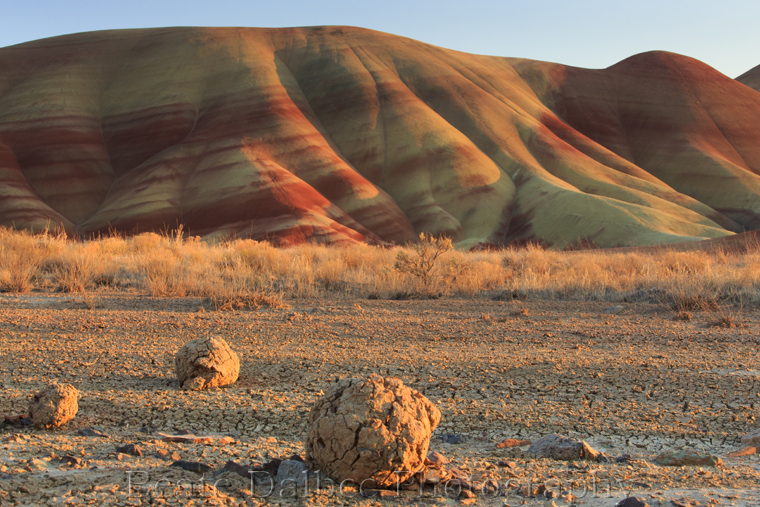 The colors in the hills change dramatically in different lighting conditions and after the sun goes down it is a different look alltogether again. All the color nuances become much more obvious. There are other interesting subjects besides the hills. 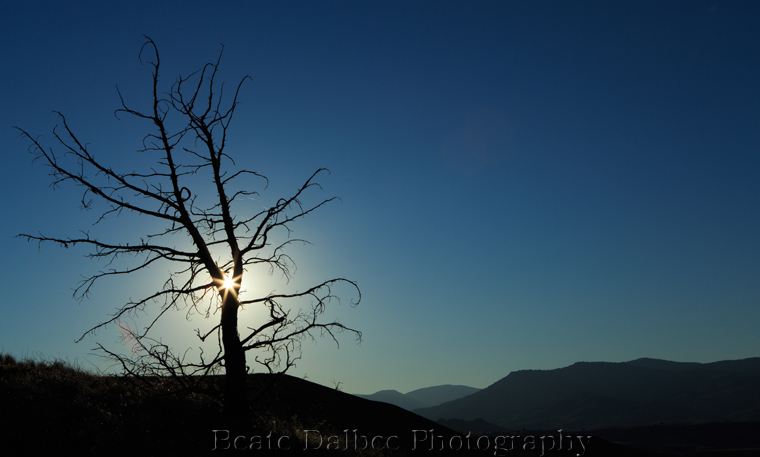 This dead tree caught my eye and I managed to capture the setting sun in its branches.